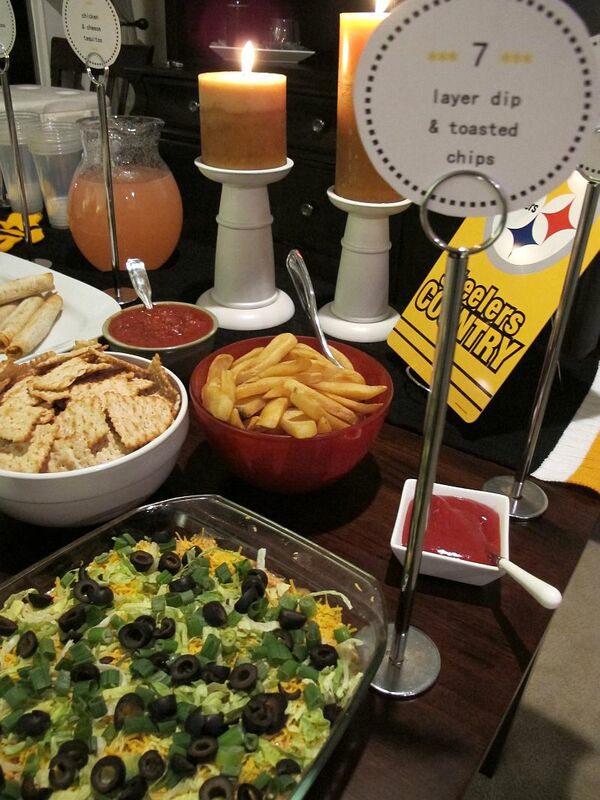 This was a HUGE game for my family and in my household, so I decided to throw an AFC Championship Party serving finger foods with a Mexican theme. 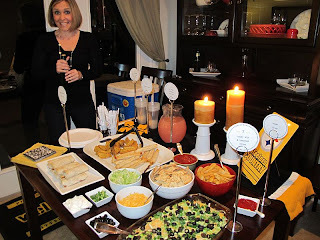 I had all of the Steelers decor already and because my favorite color is yellow, I was good to go with candles and napkins, plates, etc. 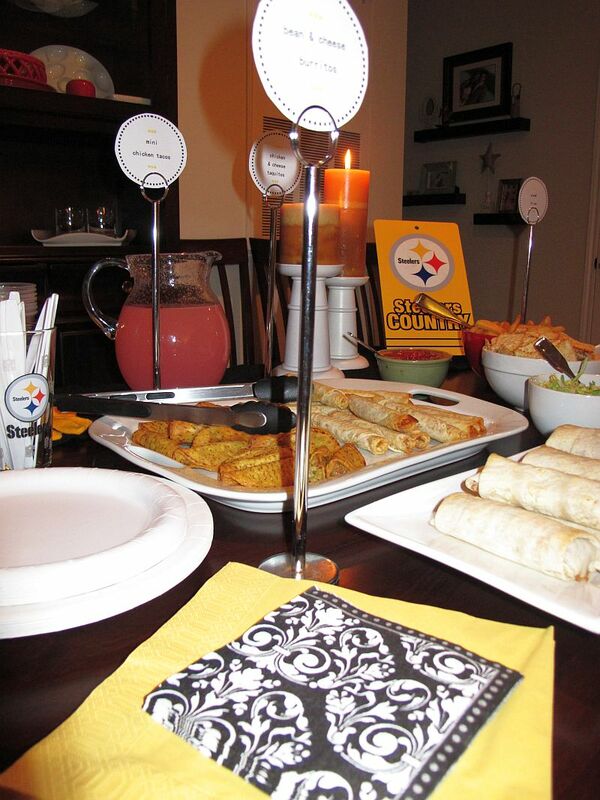 Funny, but the black and white paisley napkins were from my lingerie party in St Thomas... 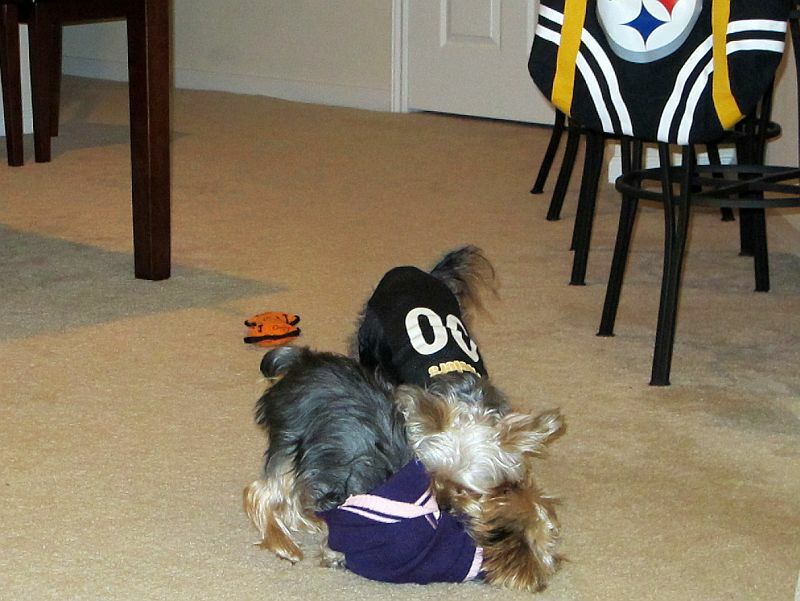 I shipped them home from the island and was happy to get use out of them, Steelers style! I made labels for each item on the table. These labels each had 2 clumps of 3 stars totalling 6, which signifies the Steelers 6 Super Bowl wins. Bryan made his famously healthier version of 7 layer dip. "7" for our 7th Super Bowl win comin' this year! My kitchen table is small, but by removing the surrounding chairs the space opened up and I was able to fit various foods, condiments, drinks and decor on the table. I have 2 Steelers scarves, so I used one to run across the edge of the table (to keep the pitcher from dripping onto my table and to add color) and the other went on my mantel. And, of course, we had Yuengling in the cooler off to the side! I coaxed everyone into wearing black and/or gold by telling them they had to play truth or dare if they didn't, hahaha!!! It worked! Our friends came in festive attire! 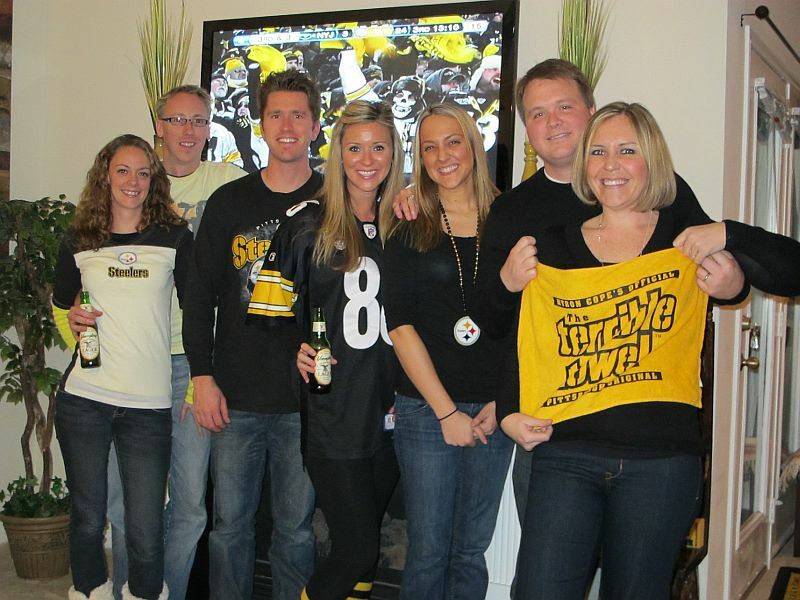 Super Bowl XLV here we come! Love the Cali-Piper going on! Congrats to the Steelers & upcoming #7! The pups are so cute! You threw a great party! 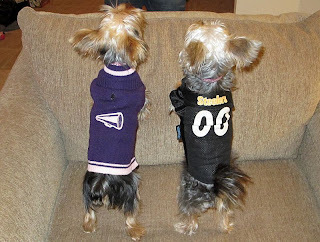 the furbabies in their jerseys are SUPER cute! what a great pic! A Visit from My Bestie and Her Boy Toy! Ending the Year 1st Class All. The. Way.